SALE Primitive American Eagle make do pattern. 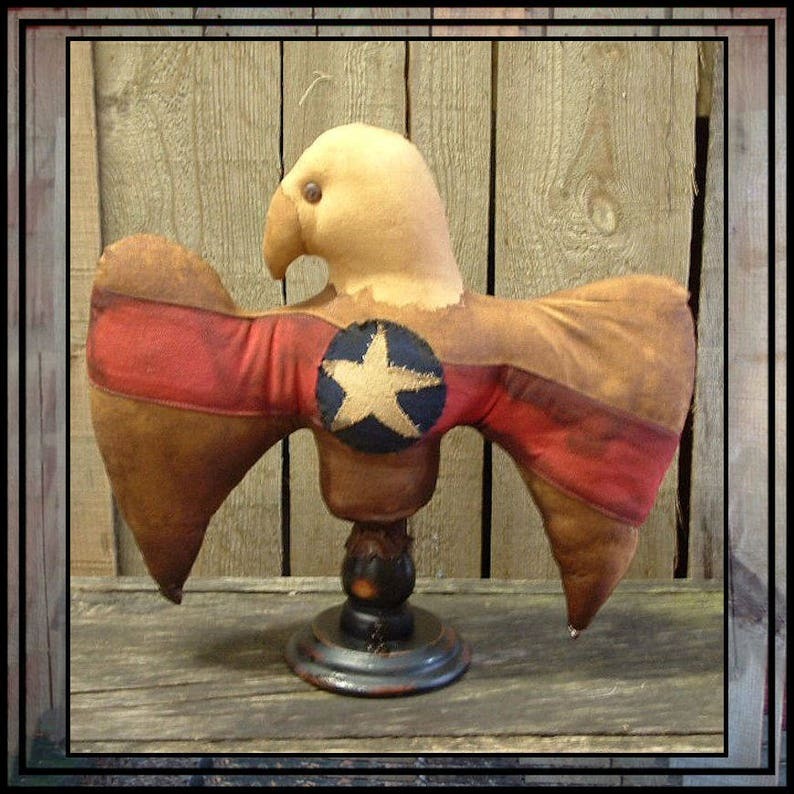 This American Eagle is 10" high and 14" wide on a base. Easy with base instructions. Bought for my mother and she loves the pattern. l contacted owner with a concern of shipping to the right address and she communicated more than expected. Fantastic seller. I love her patterns!